Through Chef Lisa’s travels, she came to realize that the best meals of a country are not found in its restaurants. They’re found in its homes, made with love by mothers cooking for their families. So, in addition to Mother’s regular menu where she serves food from mothers around the world, Chef Lisa highlights a different mother each month and features some of her special dishes. 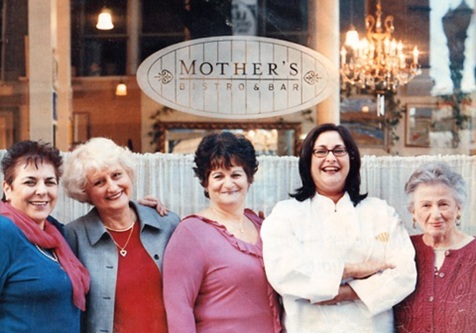 The special mother is called the Mother of the Month (or M.O.M.™), and her photograph, story and menu take a prominent place at the beginning of Mother’s menu. We choose a mother that allows us to take advantage of the seasonal availability of ingredients, such as a Greek mother in the summer months and a Polish mother in the winter months. We have mothers from Spain, Greece, Slovakia, Cuba, Mexico, Thailand and others. If you’d like to nominate a mother to be the M.O.M™, CLICK HERE and tell us something about her and her special dishes.